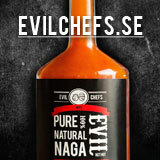 Our website address is: http://www.shaggkvist.se. When visitors leave comments on the site, we collect the information that is displayed in the comment form as well as the visitor's ip address and user agent string that means for detection of spam messages. If you leave a comment on my site, you can choose to save your name, your email address and website address in cookies. This is for your convenience so that you don't need to fill in this information again the next time you write a comment. These cookie files are valid for one year. Articles on this website may contain embedded content (for example, videos, pictures, articles, etc.). Embedded content from other websites behave just the same way as if the visitor has visited the second site. These sites may collect information about you, use cookie files, embed additional third-party tracking and monitoring your interaction with such embedded content, including tracking of your interaction with this embedded content if you have an account and are logged in to the website in question. I do not share personal information with any other. If you write a comment will comment and its metadata to be stored without time limit. The reason for this is that we need to be able to find and accept the follow-up comments automatically and do not put them in the queue for review. If you have written any comments on this site, you can request an export file with the personal information I have about you, including all the information you have given me. You may also request that I delete all the personal information I have about you. This does not include any information that I need to save by the administrative, legal or security purposes. Comments from visitors may be controlled via an automated service for detection of spam. This blog is password protected, and no one but I have access to the. If a data leak would nonetheless be made, I will inform about it on the blog.